The business of Gault & Millau is to connect gastronomic consumers with restaurateurs and winegrowers. Gault & Millau is the only media positioned on both gastronomy, tables, hospitality and wine, we are already in the fun. 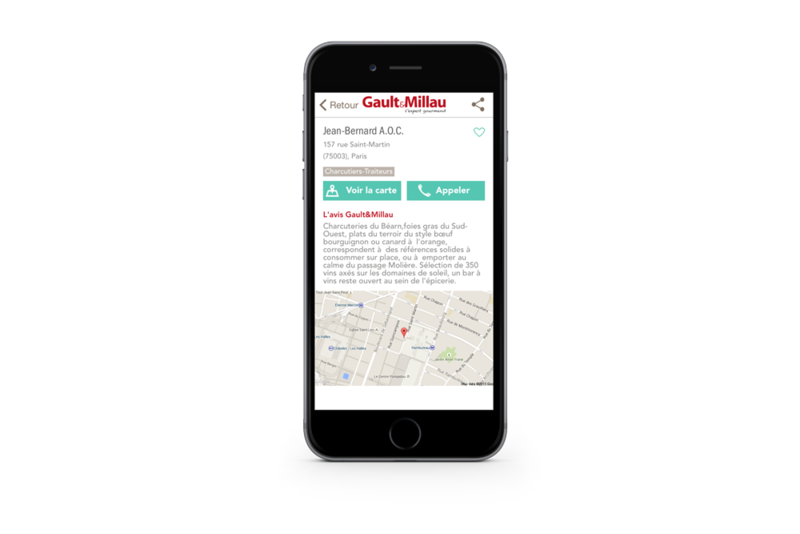 Gault Millau gives pride to the “ethic-tables”, the brand is also launching digitally with innovative services such as dynamic mapping wine appellations or mobile applications. Gault & Millau consulted Smart Interactive Agency to set up a process to industrialize the production of mobile applications dedicated to fine shops and gastronomy. 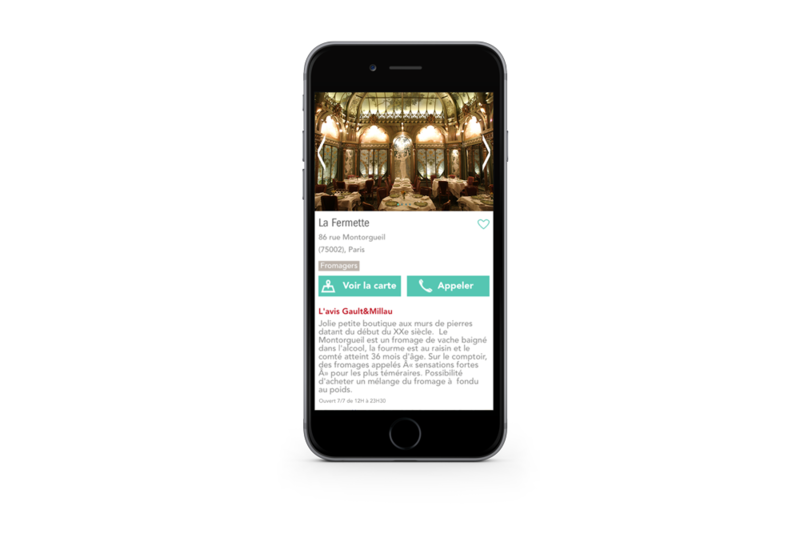 The idea was, on a common basis and using formats of exchanges defined with the teams of Gault & Millau, to allow the launch in less than a month of a new application. 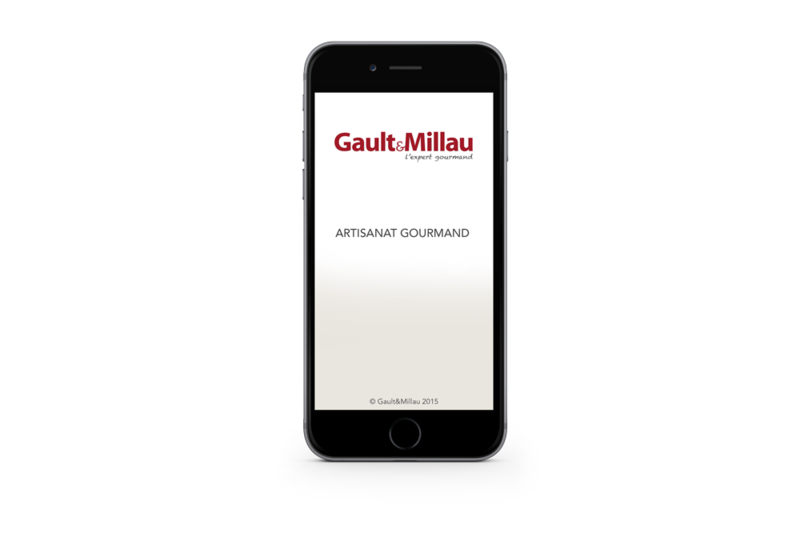 Finally, the agency made the full publication process of applications in the App Store on behalf of Gault & Millau. Quality, Competitiveness and timeliness were key elements of the response. 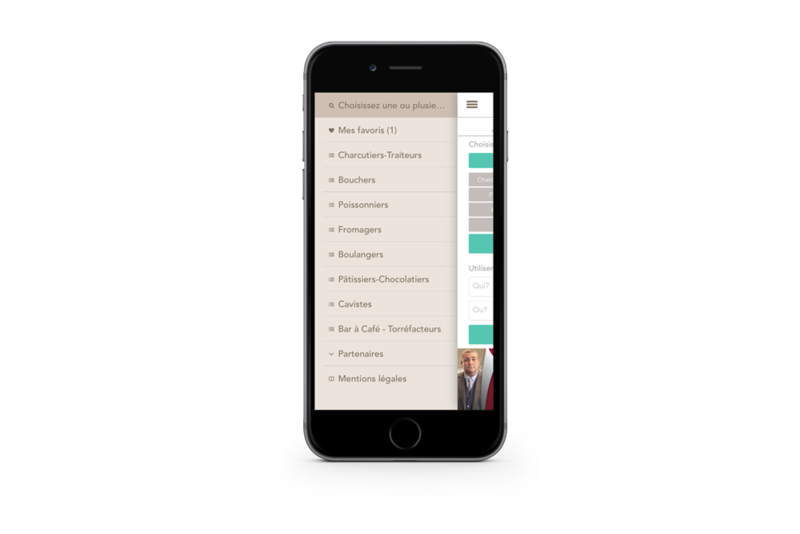 Smart Interactive now manages the maintenance of the brand’s portfolio of applications.